Free if you help to distribute the idea. of remittances and expenditures of the local government. Want to know what's up? Ch@nging money …. make it work for communities! STRO introduces the Money Multiplier. Our FinTech software, Cyclos, makes it possible to reprogramme money in poor areas so that it “works” more intensively for local communities/regions. Cyclos FinTech unlocks the economic and personal opportunities in these regions. The result is more income and more jobs. In the end, there is less need for people to migrate from their home town/region. We call this the Money Multiplier tool. STRO will introduce 5 test cases across the world. Additionally, we intend to do fundraising to initiate a movement that can result in $10,000 annual income for 120 million unemployed people. This will be achieved by increasing the impact of the flows of money that are already passing through poor communities. This self-help tool helps local businesses to grow their potential. STRO will introduce circular money in 5 poor communities across the world. Money in poor areas will be reprogrammed to “work” more intensively for the local community. 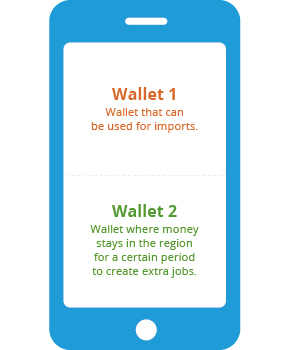 Circular money unlocks the economic and personal opportunities in these regions. The result is more income and more jobs. In the end, there is less need for people to migrate from their home town/region. We call this the monetary multiplier tool. STRO’s target is to provide a $10,000 annual income to 120 million unemployed people. This will be achieved by increasing the impact of the flows of money that are already passing through poor communities.You can help to provide this self-help tool for local businesses to grow their potential. STRO is launching a crowdfunding campaign to introduce the monetary multiplier tool that increases the impact of money in poor regions. The new technology reprograms money to circulate more often in the local economy: creating jobs and income. Remittances: The project will focus on the money which migrants send to their families and increase the impact of that money. You are invited to join and invest in a community of solidarity. 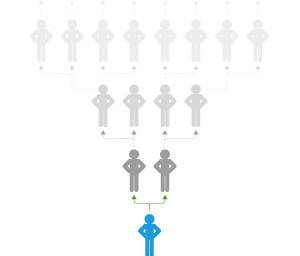 Step into something that holds the middle ground between donating and crowdfunding. If necessary enjoy the reciprocity: while you support poor people now, you insure your future. Might you yourself become needy, the solidarity will be returned and you might be supported with as much as three times the invested amount! If you continue to live in prosperity, the money will be seen as a donation. Click here to learn more about the crowdfunding details. What can Cyclos offer you? Cyclos ( www.cyclos.org ) offers a user-friendly, secure payment system. Presently, over 10 million unbanked people in poor regions worldwide are using the Cyclos facility for mobile wallets. Cyclos also contains tools to increase the impact of existing flows of money and to introduce counter cyclical Social Trade Credit. Cyclos received various awards. 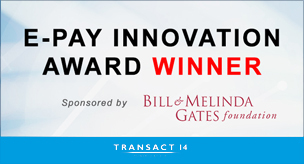 Among these the reward by the Bill & Melina Gates Foundation in 2014 as most innovative payment software with a great potential to contribute to the fight against poverty. 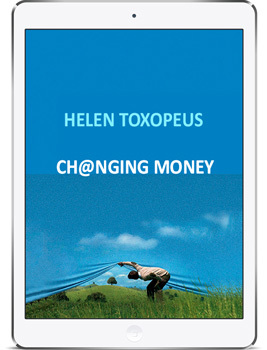 “Ch@nging money”: What is this e-book about? What is this e-book about? It is about money. It is about how money influences our lives. What we know about that and what is hidden. But above all, it is about how societies can move towards money that serves us instead of imposing rules that are leading to the destruction of the environment and a future of diminished opportunities for millions of people. You will get a totally new and different perspective on the economy, money, and banking. The book describes several R&D projects that STRO successfully developed in South America. Constant innovation and testing to increase and improve the impact of money resulted in the development of Cyclos mobile payment software. Cyclos took quite a different track than Bitcoin; Cyclos is not based on speculation and is focused on providing tools for a more just and sustainable society, using the most appropriate technologies. The opportunities are endless. You can even start now to support an innovation that will double the impact of the money sent “home” by migrants (remittances). Your commitment will improve the lives of many millions. Read here about the interactive features. Money often flows away too quickly from and out of a poor local economy. That makes it difficult to be an entrepreneur or to create local jobs. @nother kind of money is money that does not leak out of the local economy as quickly. Purchasing power circulates locally for a longer time in the local economy facilitating trade between participants of the network. Additional revenue for the local entrepreneurs is created, who in turn, spend this extra income with their colleagues. This is good for the local business climate, employment, social connections and sustainability. If you want to support Money Multiplier financially you can make a donation by clicking below.